Имате въпрос към Izutsu Hotel Kyoto Kawaramachi Sanjo? Ако това, което търсите е хотел с добро местоположение в Киото, не се колебайте, а изберете Izutsu Hotel Kyoto Kawaramachi Sanjo. Само на 0.5 km от градския център- това стратегическото местоположение на хотела гарантира на гостите си бърз и лесен начин за достигане до интересуващите ги точки на града. С удобното си местоположение хотелът предлага лесен достъп до всички градски забележителности, които задължително трябва да се видят. Възползвайте се от богатството на ненадминатите услуги и удобства в Киото. Хотелът е оборудван със съоръжения като безплатен WiFi достъп във всички стаи, ежедневно почистване, обществена пералня, съхраняване на багаж, Wi-Fi връзка в общите части. Влизайки в една от 32 уютни стаи, ще забравите за ежедневния стрес с помощта на удобства и съоръжения като телевизор с плосък екран, пречиствател на въздуха, стойка за дрехи, безплатно разтворимо кафе, безплатен чай в някои от тях. Хотелът предлага прекрасни развлекателни съоръжения, такива като масаж, които ще направят престоя ви незабравим. 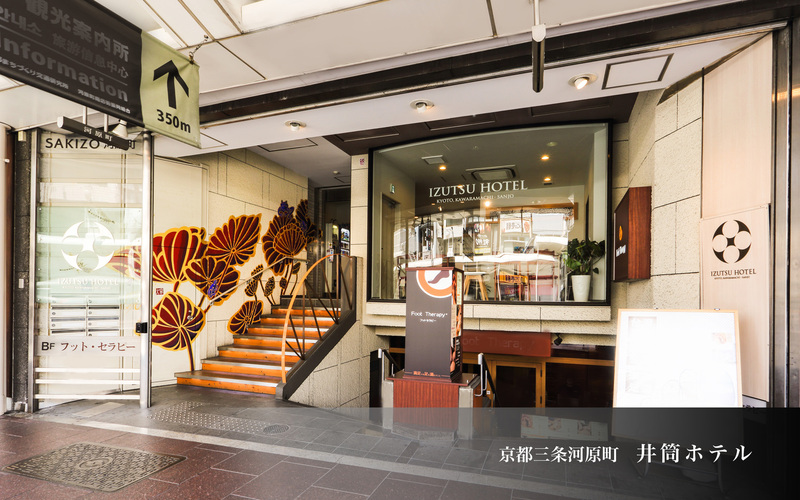 Izutsu Hotel Kyoto Kawaramachi Sanjo е най-подходящото място за Вас, ако търсите качествен хотел в Киото. All guestrooms at this property are non-smoking. Smoking is only allowed in designated areas. 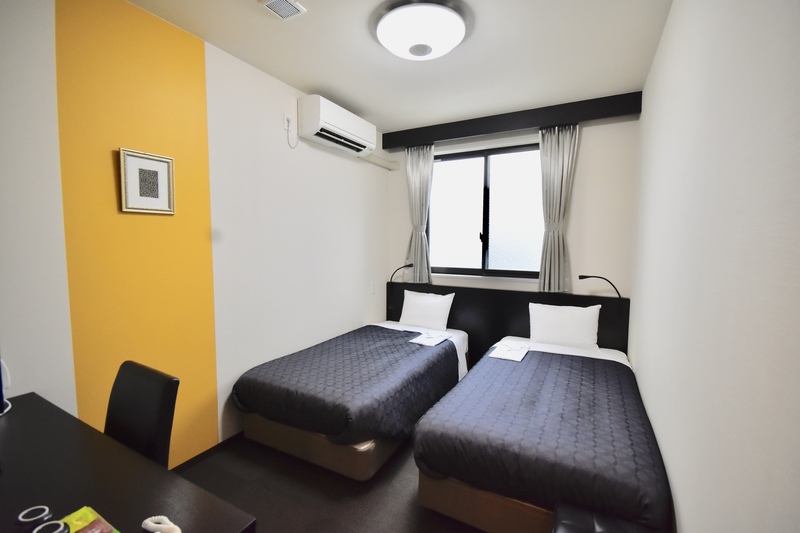 Tax JPY 200 - for room rate of JPY 19,999 and under per night. 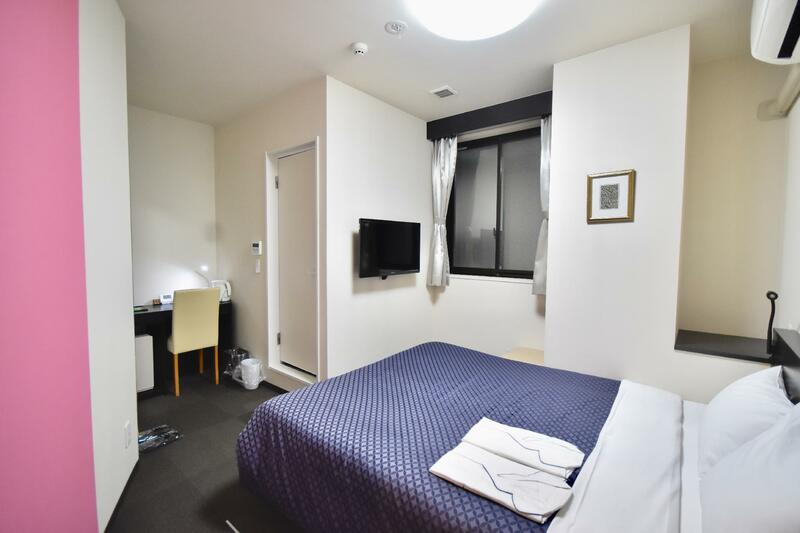 Tax JPY 500 - for room rate between JPY 20,000 and JPY 49,999 per night. 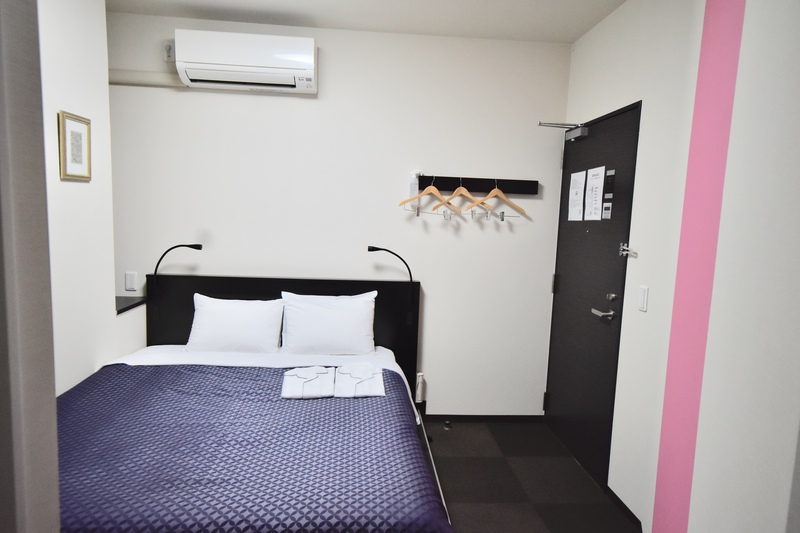 Tax JPY 1,000 - for room rate of JPY 50,000 and over per night. The property does not accept any restaurant reservation request before check-in. Stayed here for 2 nights and had the most comfy stay. They clean the room everyday and mannnn the toilet was gorge! It's close to shops, restaurants and convenience stores and easy access to city bus(it's just right in front). I'd stay here again next time! Of course definitely will back here!!!! Such a perfect hotel for exploring around Kyoto. Super close to train stations and bus stops. 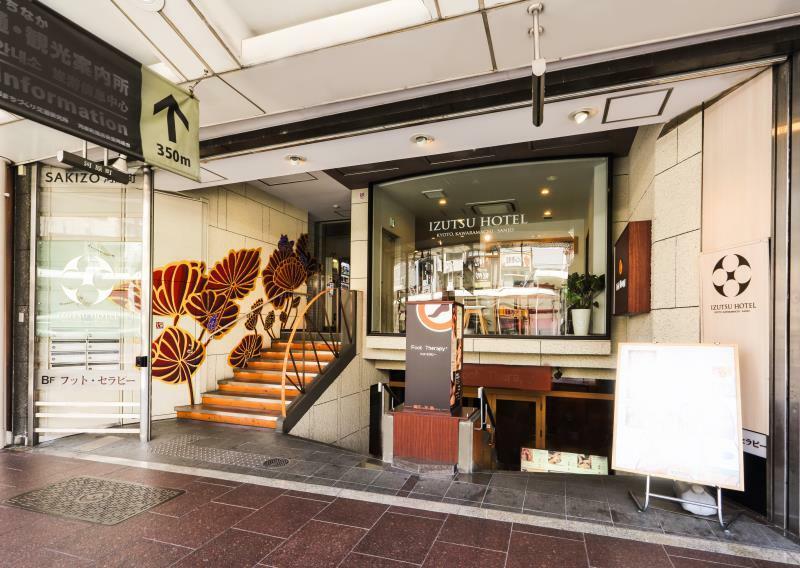 Walking distance to Ponto-cho, Gion, imperial palace and Nishiki market. Good sized rooms for Japan. Very friendly and welcoming staff. Would happily stay here again. Pros: 1. It's a 5 to 10 minute walk from the nearest train stations. 2. It's a 15 minute walk from Gion district, Nishiki Market, and another open market place where you can buy cheap souvenirs. 3. It was the second biggest room we had in terms of room space, though our floor was a bit obscured with different elevations. 4. Lots of restaurants nearby, with a currency exchange just beside it offering great rates without commission. 5. Lots of malls nearby. 6. Has a Laundry Machine in the lobby. Con: 1. We went during winter season, and sadly their Heater/Humidifier was incorporated in the AC and you could only choose one of them, whereas the other hotels we stayed at had a separate humidifier. Overall: I'd highly recommend that you stay here when you visit Kyoto. Most tourist attractions are easily accessible from the hotel by foot. Cheap hotel in the city center. only 7 minutes walking to train station and 1 minute walking to bus stop. 5 minutes walking to cheap souvenirs market. The staff was very informative. Excellent facilities. We got our room upgraded from the smallest to the largest one. Great for short and long stay. We were so happy to stay here and will be back again someday. Thank you for staying. We think that it was nice to hear that your stay is good. Thank you for the review. pillow is thin. luckily they could provide an extra pillow. nice touch to provide humidifier in the room so its not so dry. location is about 5-7 Mins walk to kawaramachi station where we took the train in from the airport. wallking distance to nishiki market and gion. 4 good ramen shops just behind in the shopping arcade. and a award winning fried chicken stall. Very affordable hotel with a good location. Within walking distance of retail shops and food places. Also quite close to the train station. Room is small (as to be expected from the pictures) but clean and has a heater. Check out time was pretty early though (10am). Not sure if that’s a standard for Japanese hotels. Great service, clean housekeeping and amazing central location! The only drawback is the often-occupied laundry and drying machines. There are only two sets, so avoid late nights and the request that you not use them past 11:30pm. Just keep that in mind. Everything else is perfect! This hotel and staff were awessome. They were so gracious in helping us with directions, where to catch the bus, and most of all held our luggage for 10 days while we were travelling on Shikoku Island. We cant say thank you enough for all their hospitality, especially to Ari Yoshida. 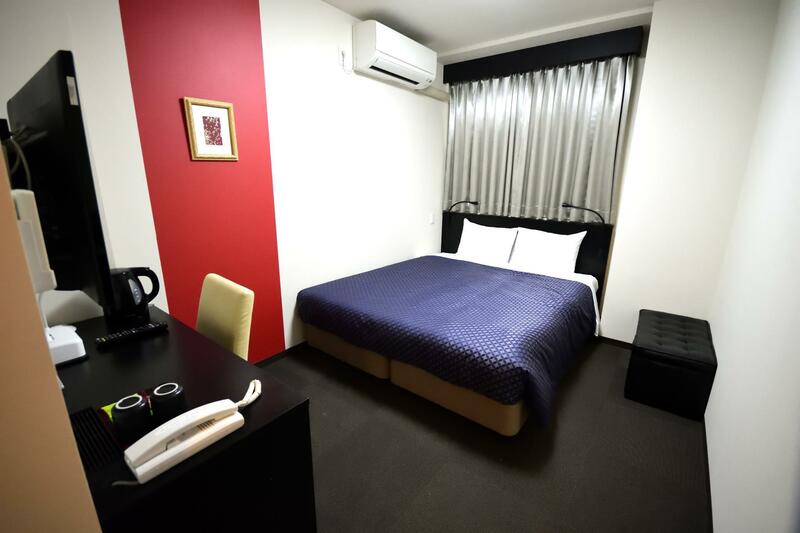 Hotel is in a great location near Sanjo station, it is placed in a central area between many shops, restaurants and bars. Will revisit. Room is standard business level hotel. The entrance is a little narrow so it can be hard to find on the main street. Staff are super friendly and helpful. 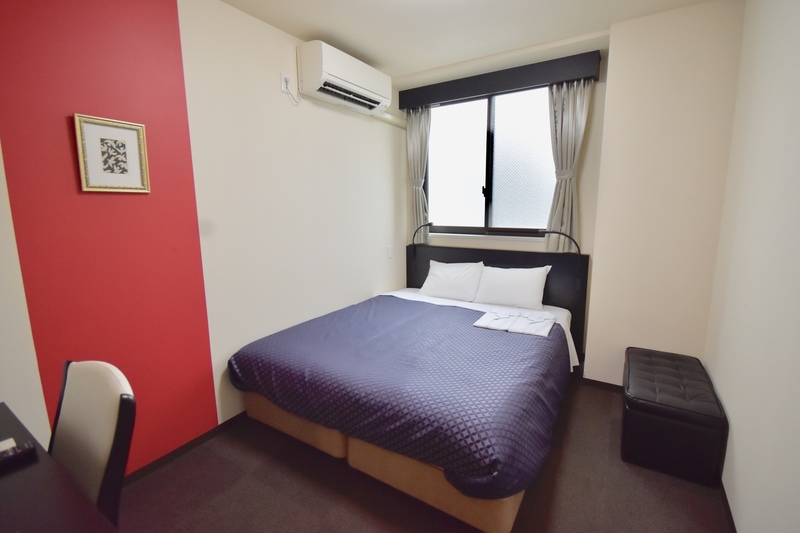 Great location, in the middle of train, subway, walk to Pontose, Kamo river, Nishiji food market and connects to many other shopping areas includes big malls, brand names and all. All staffs are super nice, warm welcoming all the way ‘till check-out. 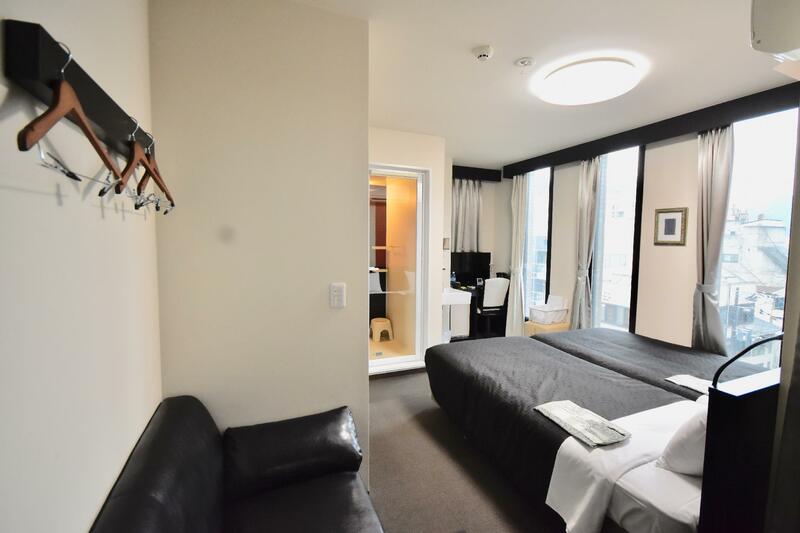 707 is a twin deluxe, top floor, excellent facilities. Love this hotel and Kyoto, will stay there again. Dear Ms. Virginia, Thank you very much for your kind review! We are sure to take your recommendation and use it to further improve the services and amenities of the hotel. We are very glad to be on your Kyoto Hotels list! We are looking forward to see you again in the future. Thank you very much! Went here last June with my husband. The location was perfect, we had no problems finding the hotel on our own. It is located near several restaurants and a few minutes away from dozens of local shops. The staff were very helpful and allowed us early check-in because we arrived at 10:30 am. The room was small but good enough for a couple. It was clean and had everything needed for a comfortable stay. We will definitely stay here again when we come back. highly recommended. Thank you very much for staying with us. We are really glad to hear that you were happy with the location and feel comfortable to stay. When customer arrive at the hotel, if the room is ready customer can enter the room sometimes. We try to prepare the room as soon as we possible. Thank you very much for your highly recommended. We hope to see you again. Thank you very much. Thank you very much for staying with us. We are glad to hear that you enjoyed the location. We are happy to help you. We look forward to see you again. Thank you very much. The location can not get any better, staff was extremely extremely helpful, love the price point. bathroom is clean and complete. Facilities is great. We stayed in three hotels throughout our trip in japan and this is our favorite. Dear Jinny, Thank you for staying at Izutsu Hotel! We are happy to hear that you had a good saty. We hope to see you again on your future trip to Kyoto! I got a last minute room deal and couldn't have been happier with the quality of the room after my disastrous hostel stay. The toilet and shower room are separated like in my modern Japanese setups. The air conditioner/heater worked very well. Staff was very helpful and accomodating. Laundry machines on site were easy to use and reasonably priced. No complaints other than I don't know if I would have paid for the normal rate but I would stay again if I needed to pick a place last minute. Thank you for staying. Thank you for the review. Everything in my experience with this accom was perfect ! Thank you for your kind review! We hope to be of service to you again in the future!